Gradually, through the latter part of the 18th century, changes in attitude toward slavery began to occur. In the petition shown here by white Loyalist James Frazer, he clearly shows his racist attitudes. But his words also demonstrate that he realized it was to his advantage, in his petition to the Governor of Upper and Lower Canada to indicate that he treated his slaves humanely. He said that he always treated his slaves with the greatest “tenderness”. An incident in the early 1790s in Queenston, Upper Canada served to heighten public opposition to slavery. Black slave woman, Chloe Clooney, was to be sold to a new owner in the U.S. Her intense resistance was observed by free Black veteran, Peter Martin, and a neighbour, William Grisly, who took their concerns to Lieutenant-Governor John Graves Simcoe. 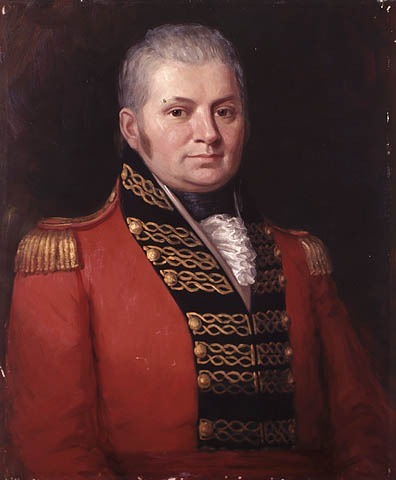 In 1793, Simcoe’s administration passed the Anti-Slavery Act to gradually abolish slavery in Upper Canada. 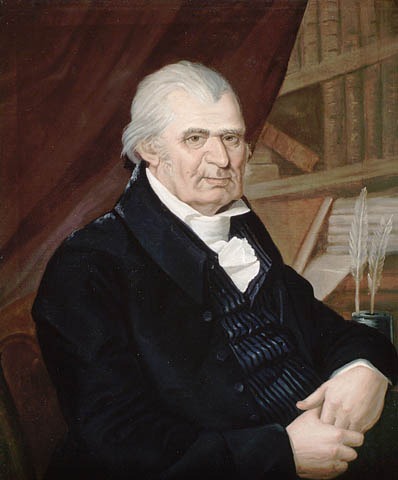 Six years later, Joseph Papineau, father of Louis-Joseph Papineau, raised a citizens’ proposal for the abolition of slavery in Lower Canada. While defeated, it indicates the change in attitude toward slavery in Lower Canada as well. 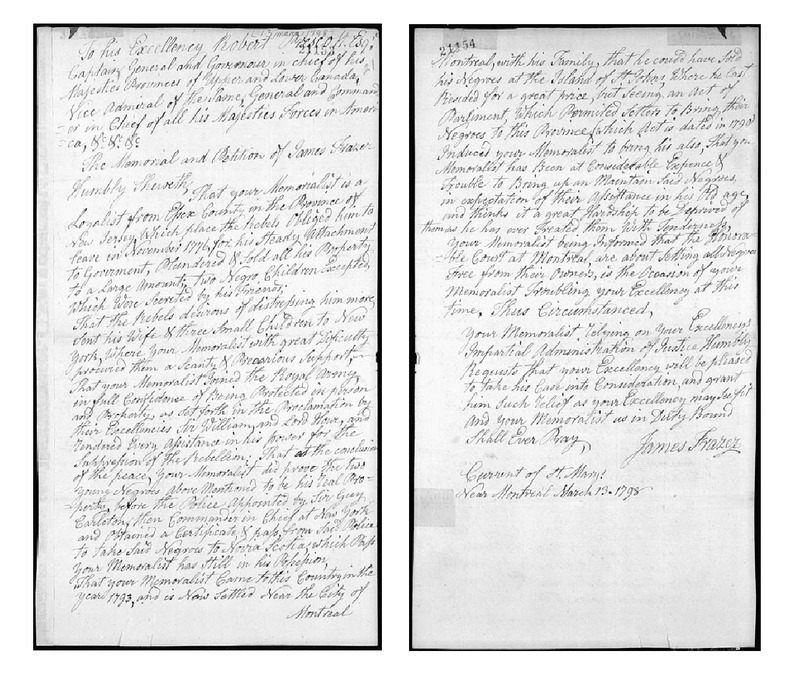 Despite the limitations placed on slavery in Upper Canada in 1793, slavery continued until 1833. Meanwhile, across the U.S. border in what is now Michigan, a new territory had been formed in 1787. It was illegal to bring slaves into this new territory. So from 1787 to 1833, Canadian slaves escaped out of Upper Canada into this American territory. This flight of slaves was so significant that in 1806 a company of Black militia was established in Detroit made up entirely of escaped Canadian slaves. In 1807 Britain abolished its transatlantic slave trade, and began a diplomatic campaign to press other nations to do the same. The British Royal Navy played an enforcement role but the trade continued, in a clandestine way into the 1860s. 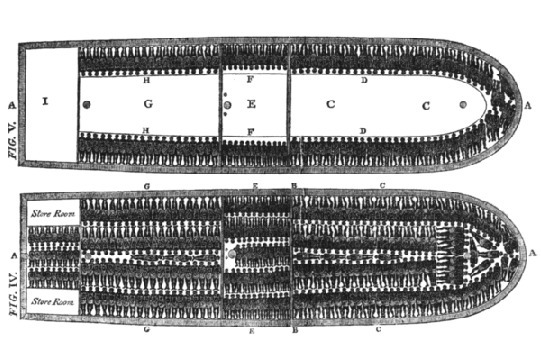 As mentioned earlier, ships such as the one depicted here, never entered Canadian waters, but some of the slaves transported in them, and some of their descendants ended up in Canada, nevertheless. Richard Pierpoint is an example of an African who was captured and transported aboard a slave ship to what later became the United States but what was then the British Thirteen Colonies. Pierpoint was purchased by a British officer for whom he worked as a personal servant, and later came to Canada as a free man. In both the American Revolutionary War and in the War of 1812, the British offered to Americans who would switch sides, the opportunity to come to Canada. Many Black slaves seized this opportunity to obtain their freedom. Richard Pierpoint is an example of such a person. He fought in the American Revolution as a member of Butler’s Rangers and afterwards was granted freedom and land in Canada. 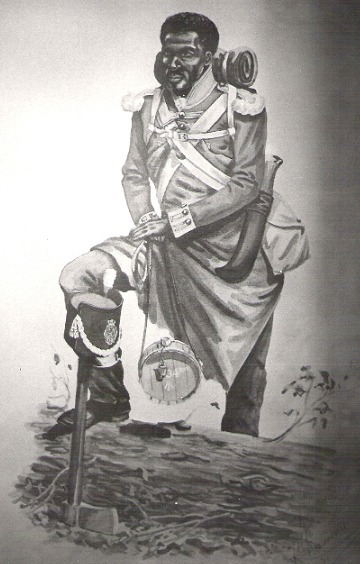 During the War of 1812 he petitioned the government of Upper Canada to form an all-Black militia. After an initial refusal, his petition was accepted and he and other Blacks soldiers were instrumental in the fight at the Battle at Queenston Heights as well as other actions in the Niagara area. In the War of 1812, and in the Upper and Lower Canada Rebellions of 1837 and 1838, large numbers of Blacks from Canada volunteered to fight with the British. In some cases they fought because they feared re-enslavement by the Americans. Black Canadians also fought for the British in the Crimean War, between 1853 and 1856. Among these was Nova Scotian William Hall, who joined the British Royal Navy in 1852. For his service in the Crimean War he was decorated with British and Turkish medals. But it was his defense of a besieged British garrison in India for which he is best remembered. 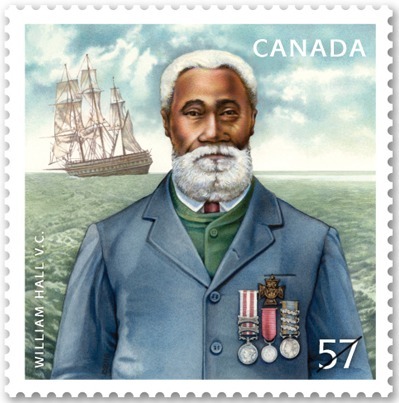 For this action, he was awarded the Victoria Cross for outstanding bravery, making him the first and only Black, and also the first Canadian sailor to have this honour.